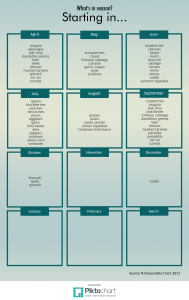 New Jersey: What’s in season? Easy Fruit Recipe: Applesauce from Get Moving Get Healthy NJ on Vimeo. Easy Veggie Recipe: Kale Chips from Get Moving Get Healthy NJ on Vimeo.